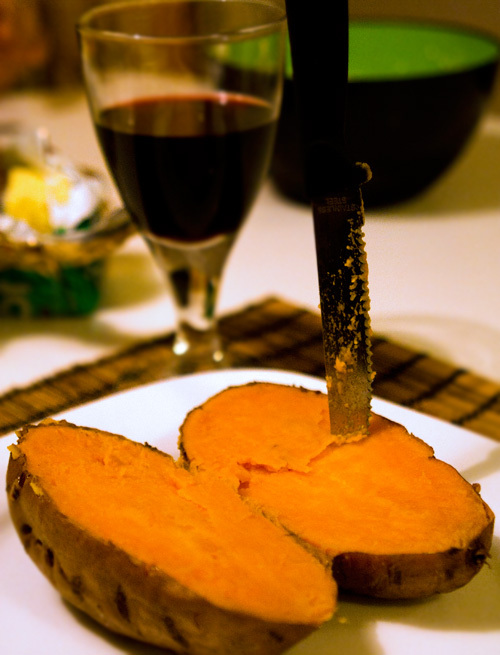 An alternative to baked potato is baked sweet potato. Why? Well, just if you have a desire to stay away from the starch in the potato maybe. Or just want a change for the sake of a change. We had it the other night, no correction – I had it. 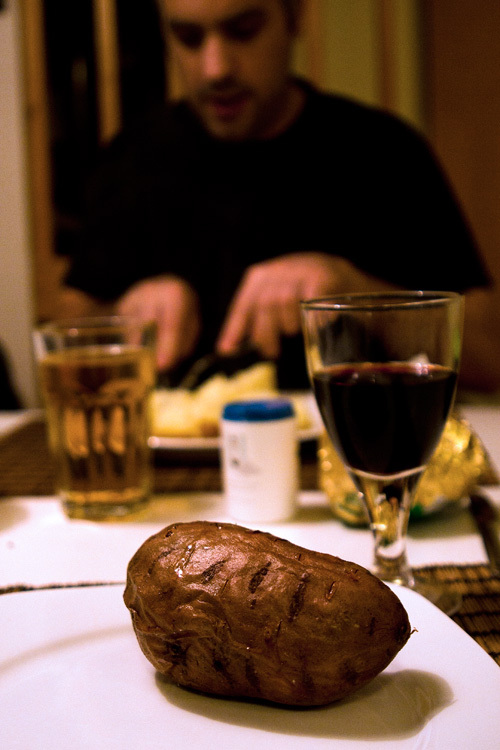 Jon had baked potato. He is very suspicious of anything different. 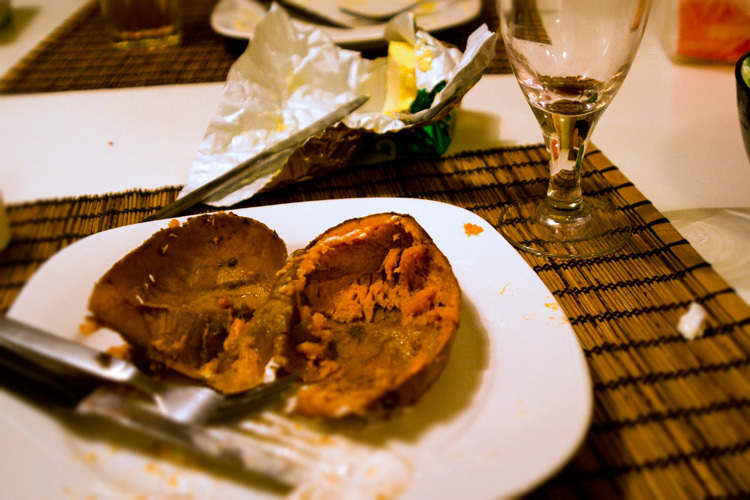 No more sweet potato… I ate it with butter (of course), salt and a dip made of greek yogurt, feta cheese and red onion. Previous PostPrevious The awesomeness of breast milk!